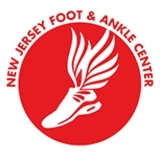 New Jersey Foot and Ankle Center (Oradell) - Book Appointment Online! While we have some of the most state-of-the-art technology available, we go out of our way to make sure each patient gets the personalized care you would only expect from a family member. So when we say you've got a foot doctor in the family, we mean it! Under the supervision of Dr. Daniel Margolin and Dr. Maryellen Brucato we welcome Dr. Douglas Appel and Dr. Jungmin Lydia Yoo to our team! Very attentive and super patient He was very friendly and answered all my questions with patience. I went to 2 dr’s before him who couldn’t figure out was wrong and he got it right away!! Highly recommend! !